Samsung has unveiled the Galaxy A70 with a 6.7 -inch super AMOLED panel with a 20:9 aspect ratio. This device is the new smartphone that is added to the A-Series and it is the first A series to debut the cinematic screen. 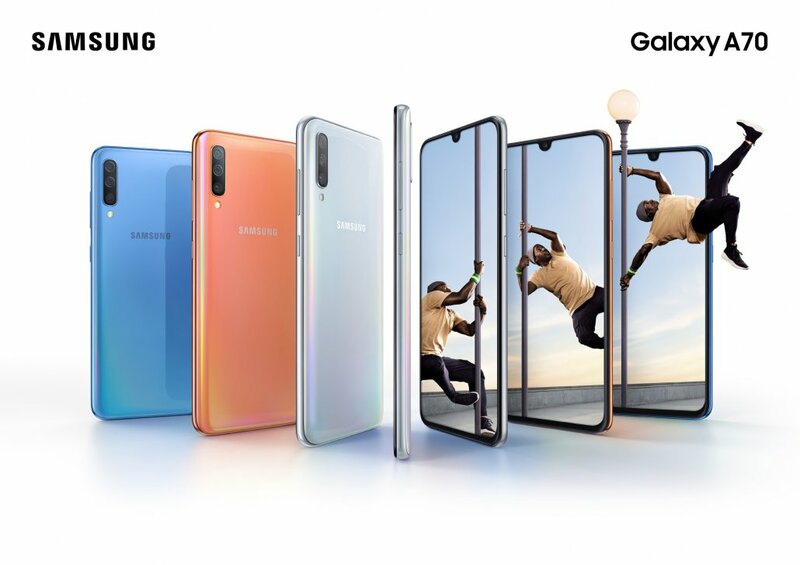 Samsung Galaxy A70 came with 32MP Selfie camera and the camera features infinity – U display. The main rear camera of this phone is 32MP, it has an 8MP ultra – wide-angle module and a 5MP depth sensor. This smartphone features an in-display fingerprint reader. It also has face recognition as security mechanisms. The new Samsung Galaxy A70 comes with a 4,500mAh battery capacity. This smartphone comes with16/8GB RAM and 128GB internal storage that can be expanded to 512GB using a microSD card. The screen of the phone measures a 6.7-inch display and it measures 76.7mm wide. 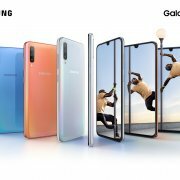 Samsung Galaxy A70 comes with the latest Android 9 Pie and One UI. The smartphone is available in Coral, Blue, Black, and White color. The dimension of the device is 164.3 x 76.7 x 7.9 mm and the resolution is 1080 x 2400 pixels. Samsung company has not revealed the price of the device yet. The company says that they will reveal more information about the smartphone on the 10th of April 2019.